Cuban-born pianist Miguel de Armas proudly releases What's To Come, a debut album sure to expand his ever-widening audience. Long known as a stalwart in Havana, de Armas has synthesized the musics of his homeland with those from North America and Canada (where he now resides). 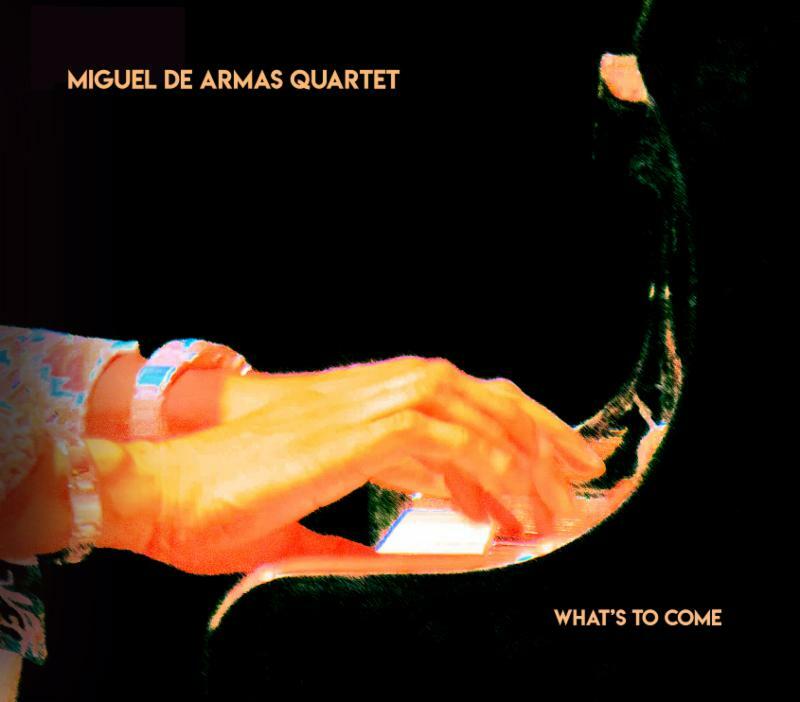 It is an effortless weave of influences, fulfilling the promise of his working quartet and illuminating Miguel's mastery as an instrumentalist and group leader. In 1988, Miguel was a graduate of the famed Instituto Superior de Arte, proving himself a rhythm master devoted to the multitude of sounds and influences surrounding Havana - rumbas, chants, the cadence of street life. They served as the basis for his own musical ideas. He became a founding member of N.G. La Banda, the group that originated the Cuban salsa offshoot called timba. It proved successful, touring Lincoln Center, Montreux, Northsea and other festivals around the world due, in large part, to Miguel's innovations. He had defined an approach that utilized both acoustic and synthesized keyboards, a sound subsequently adopted in the development of Cuban music. That became his launching pad. Since then he has collaborated with a Who's Who of legends and appeared on more than 60 albums. Miguel´s style draws heavily from the rich contributions of influential predecessors - among them, pianists Chucho Valdés, Emiliano Salvador and Gonzalo Rubalcaba. They have enabled him to create a sound distinctively his own. Moreover, Miguel has become a musical activist from his new home in Ottawa, Canada, producing shows, inviting collaborations, encouraging stylistic partnerships that further his ideas and those of the greats who walked before him. What's To Come provides the evidence. It's reach is varied and broad, encompassing elements of elegant danzón ("La Dama y el Perro"); bossas (the title track);and '80s symphonic rock ("A Song For My Little Son"). Special guests from Canada's musical community of Cuban specialists include recent Grammy nominee Jane Bunnett, guitarist Elmer Ferrer, trumpeter Alexis Baró, and bassist Roberto Riverón. On this record, Miguel de Armas solidifies his place among Cuba's most distinguished musicians. The region that birthed the likes of Cachao, Omar Sosa, the multi-generational families of Valdés and O'Farrill, and countless others, now applauds another forward-thinker, a native son. Introducing Miguel de Armas. All songs composed by Miguel de Armas, except "Freddie's Drink" (co-written with Marc Decho). Produced by Michel Medrano and Miguel de Armas. Mix and Mastering by Jim Zolis. Recorded at Rose Room Studio, Toronto, April 2017.